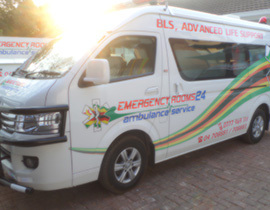 The Emergency Rooms 24 is pleased to introduce a subsidiary business unit that provides ambulance services for the convenience of its patients. 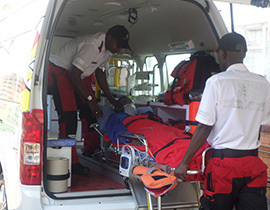 The Emergency Rooms 24 ambulance services is run by highly experienced professional team with local and regional experience. 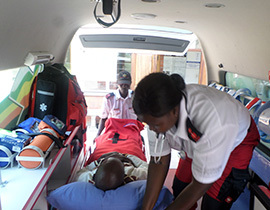 This service will be provided through a radio satellite communication backed up by a qualified Medical Doctor who provides life-support to a patient during transfer or delivery. 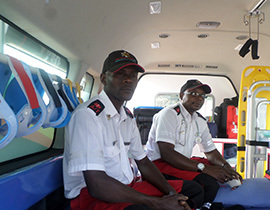 This service focuses on the transfer of patients from one service provider to the other anywhere in Harare. 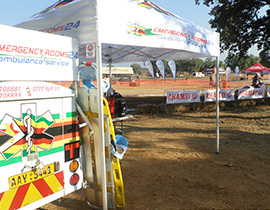 Through our ambulance services business, we are able to provide medical covers supported by qualified personnel on events that include sports, corporate events to name a few. 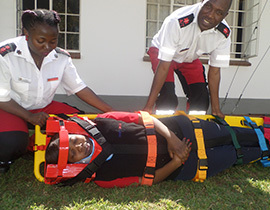 All patients involved in a trauma incident will have easy access and prompt attendance at Emergency Rooms 24 trauma unit and also facilitate with speed admissions. 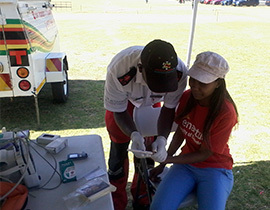 now and get access to medical aid procedures to help you! 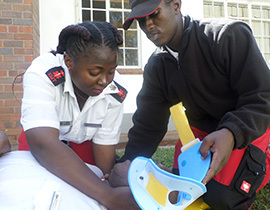 Designed by KreoNovo | Create | Design.